Home » Article » How modern technology has transformed the financial trading world? The advanced technology has had a massive impact on our day to day lives and is generally regarded to have improved the social lives, business, government, and education. Advancement in technology has also transformed the financial trading market. Unless you are a broker or an investor not much thought is given as to the impact of technology on financial market productivity. In the past stock market was traded on the strengths of a news story, brokers and trader gathered in the trading area and started shouting matches that sounded like brawls. Today’s high-tech trading goes on at the comfort of your home without shouting and offers investors efficient ways to research and purchase stocks. Today’s investor has unprecedented access to information about the financial market. Access to the internet provides current product prices such as stocks, forex, CFDs and precious metal, where a trader can access company earnings reports in case of stock. Trading breaking news across the world provides real-time insight to traders and brokers when trading through platforms such as MT4 webtrader. Financial advisers can also relay current news and development to clients, and companies can easily track the performance of their stock in real-time. The results of nearly instantaneous inflation are better-informed investor, traders, and brokers. The use of computer systems, artificial intelligence, and natural language processing record buy and sell orders so quickly that the trader can know their price and other details within seconds. Financial firms such as MT4 are turning to algorithms to do the job that humans used to undertake. Machine learning algorithms in the financial market have improved significantly with the burgeoning processor’s capabilities at lower cost; these algorithms are available for border use. Also, electronic trading eliminates the handling of transactions by people; errors have become infrequent. Going forward on the financial market, robots will soon replace financial advisors. There are algorithms have evolved to understand financial goals, risk assessment and other intricate details of investment to come up with a personalized investment portfolio. A robot can move funds, book, profits, or square off places based on self-learning algorithms. Most of the platforms are web-based such as MT4 webtrader and or smartphone based making it very easy to access or customize. The systems are self-operated without human interaction. Technology has revolution information theft in the financial market that has been a nightmare for players. In 2019 hackers has always managed to stay ahead of system security. However, a trading comparison such as Metatrader 4 webtrader is working to change these each day. For example, a group of researchers in Geneva, Cambridge, Singapore, Waterloo, and Ontario are using the landmark theoretical work that provides “unconditionally guaranteed” security as well as the sanctity of a message spread between any two points around the world. A trial using these digitally “sealed envelopes” so far has been successful and if all goes well, the financial market will be able to safeguard against any threat of information invasion. Technology has enabled the financial market to generate a massive amount of data each second. There is a considerable challenge to store and analyses this information on a real-time basis is critical. The problem is solved by a cloud of storage and real-time access to this ocean of data at an affordable price. Big data analysis in the stock market made it possible to highlight correction and were impossible for a human to find out. 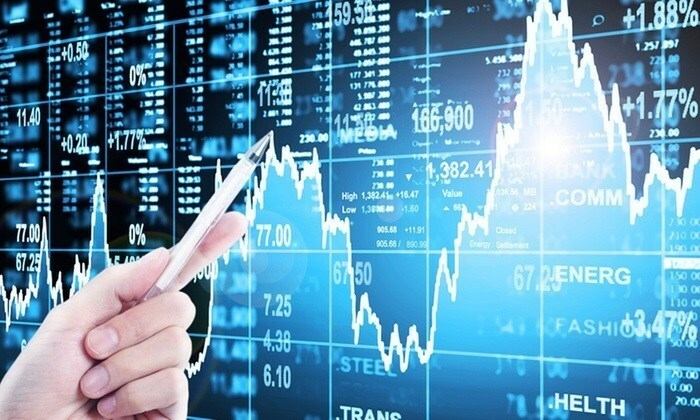 The investigation can’t be completed without the use of technology, and trading platforms such as Metatrader 4 webtrader have high tech software’s that analysis thousands of social media feeds about a single trading sentiment and news around the asset and can try to forecast future and possible sentiments around the trading asset. Those insights have changed how the financial market is being operated both institutional and investor trades in the market. Lastly, while there is a tone of technologies in the early stages of developed 2019 is promising with significant improvement and market interest, the ground has been set for digital trading transformation.